Droplets of water combine, and then jump from the insect's water-repellent wings. This cicada image replaces an earlier image of a different insect. We regret the error. 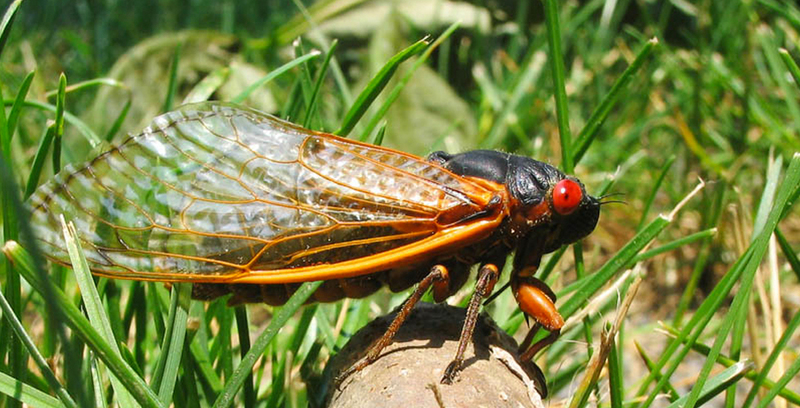 (ISNS) -- As 17-year cicadas wriggle out of the ground all over the northeastern U.S. this spring, they'll be reemerging into a world that understands them a little better. Researchers now find the design of their wings can cause filth to jump right off of them with the aid of dew, findings that might help lead to better artificial self-cleaning materials.